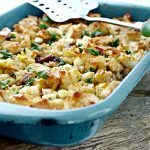 You might not know that there’s a war waging at your holiday table, but DO NOT call Southern Cornbread Dressing a “Stuffing” or you will find out! Trust me on this, a stuffing is not a dressing and a dressing is not a stuffing. 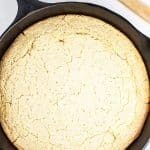 The recipe in this post is an ages old SOUTHERN cornbread dressing and that is what you better call it too! OK, IF you DO call a dressing a stuffing, you will be told right quick that a stuffing is something that is stuffed inside of a bird for roasting and a dressing is made in a pan and accompanies the roasted bird to the table. 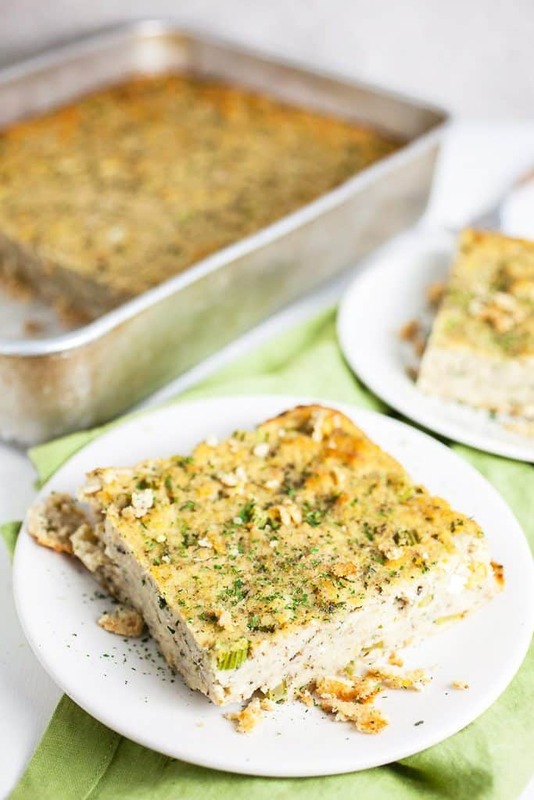 Hello sage filled southern cornbread dressing! WHAT GOES INTO A CORNBREAD DRESSING? I’m so glad you asked! First and foremost, what goes in this dressing is some of THIS delicious CLASSIC CORNBREAD, some spices and most deliciously, CHICKEN STOCK. Trust me, if you have time, making your own chicken broth kicks this stuffing up to another level (Ooops, I did it, calling this a stuffing and not a dressing, lol). Anyway, if you don’t have time, then store bought chicken broth is fine, but seriously, it isn’t hard to do and totally worth the effort. Here’s the directions right HERE. CAN CORNBREAD DRESSING BE MADE THE DAY BEFORE? You can certainly make the dressing the day before. 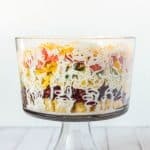 I recommend mixing everything together except the wet ingredients, then mixing those together with the dry ingredients just before you pop it in the oven. 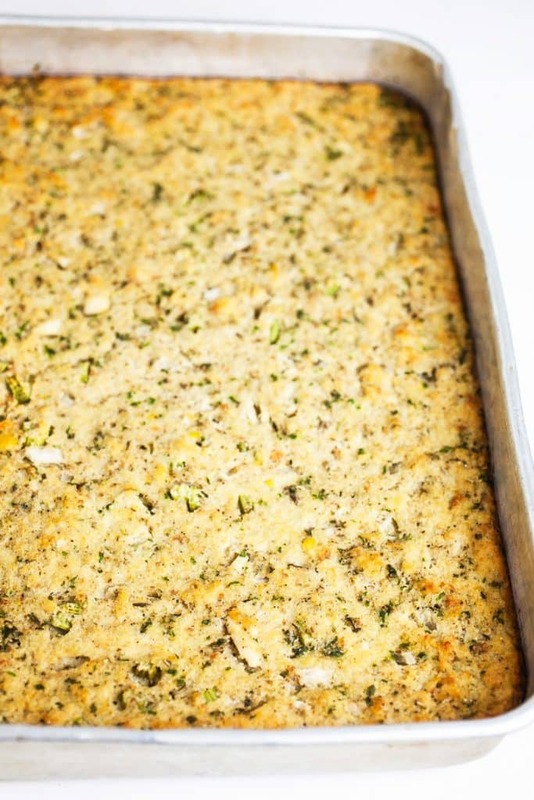 CAN YOU FREEZE CORNBREAD DRESSING? Yes, you can freeze cornbread dressing, but it doesn’t last for a super long time frozen. 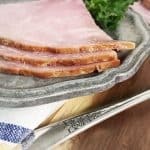 Try to eat it up in a few weeks if you freeze it. Squeeze as much air out of the bag as you can. Label the bag and place in the freezer. 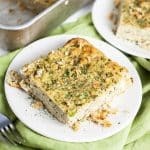 HOW LONG IS CORNBREAD DRESSING GOOD FOR? 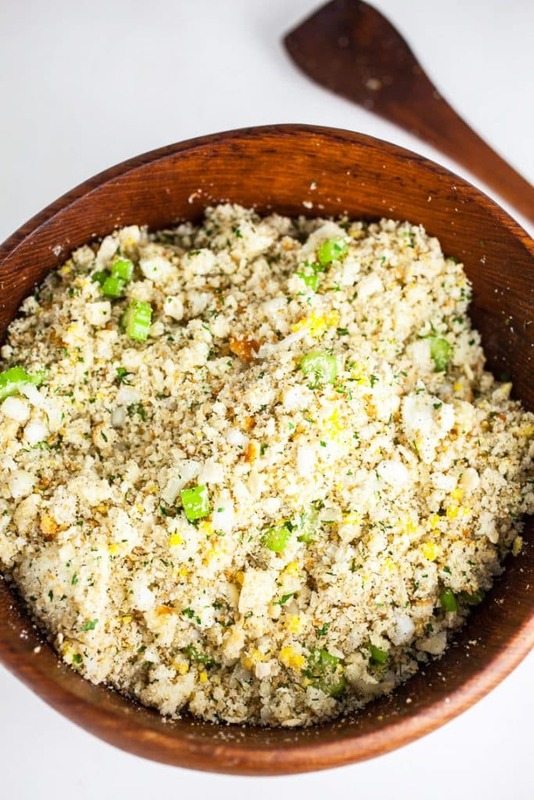 Your cornbread dressing is good for several days after you make it. You will want to keep it in the refrigerator. 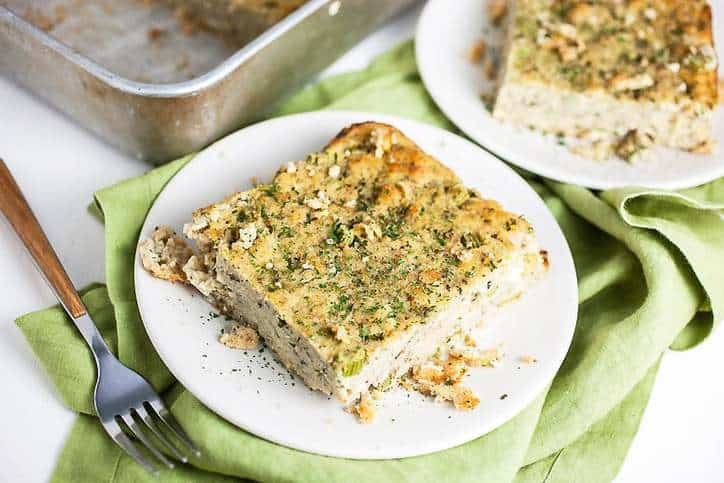 Place your cornbread dressing into the refrigerator as soon as you can after serving for the longest keep time. 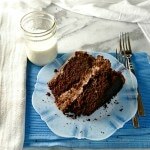 This recipe is totally flexible in this way! 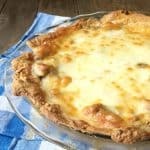 I’ve tried this recipe an added ½ lb of fried sausage crumbles, and it was perfect! 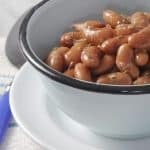 You can certainly leave the onions, sage and celery out but those add flavors, so be sure to replace those flavors with something else that works like garlic, thyme, italian seasoning or other flavors. The one thing is though, it is probably best to leave the raw eggs in the dressing because those act as a binder and hold everything else together. The boiled eggs are based totally on your preference. Go with your heart baby! To get the MOST flavor into your cornbread dressing, you will want to make your own chicken broth if you can. It’s worth the effort. Cornbread dressing is a thing here in the south and it doesn’t taste right unless it has PLENTY of sage. Buy a fresh bottle of ground sage because it doesn’t really last a full year and still taste good. When you add the chicken broth, you may have to add a little more or a little less, it kind of depends on how dry your cornbread is. I would tell you that you want it to be like a thick and sticky bowl of grits, but that might not mean anything to some of you. If you can think of how cereal is after you allow it to get very soggy, then that is about the right consistency. I put a LOT of sage in my dressing and I recommend it, because I LOVE it that way, feel free to taste yours as you add the sage to see how it is tasting to you. You can’t take the sage back out, so best to test. Print this recipe. 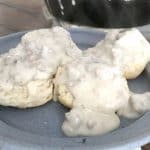 This is a wet and kind of messy recipe and you don’t want to be trying to scroll and keep your window open while reading a recipe. 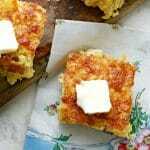 You will need a recipe of Cornbread for this recipe and I recommend THIS ONE. It is easy and simple and you can make it the day before. 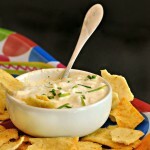 The onion and celery in this recipe are flexible based on taste. I indicate 1 quart of chicken broth plus 14 oz chicken stock, because that is the common way to purchase this item. 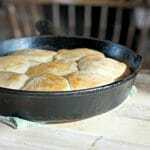 All you really need for this recipe to turn out just right is a decent 9×13 baking dish OR 2 8×8 pans. 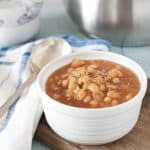 I love the one I have with a lid (that makes taking things to a pot luck so much easier!). Here’s the one I have, and it works great! I am an affiliate for Amazon and if you should buy through this link then I receive a commission. CLICK THIS PHOTO to go straight through to Amazon to compare prices. 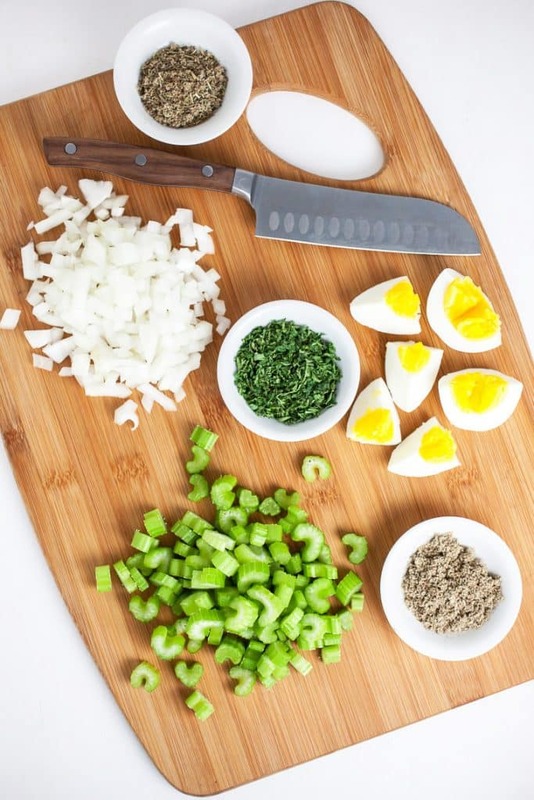 Mix the onion, celery, cornbread, saltines, boiled eggs, parsley, poultry seasoning, sage, pepper, salt and butter together in a large bowl. Pour the beaten eggs over the mixture and gently mix together. Using a rubber spatula to mix as you go, pour about ⅓ of the stock into the cornbread ingredients. Then add the next ⅓. When the cornbread looks like cereal that has sat WAY too long in a bowl, it is done. It should not be soupy, just very wet. Add more or less chicken stock based on your assessment of the situation. Pour your dressing into the prepared pan/s and bake uncovered for an hour until the dressing is lightly browned across the top. If you are a subscriber to this website, then you might have read that I’ve been feeling a little blue lately. This is normal for me as the days begin to become shorter. It doesn’t usually happen this early in the year, but there it is. Does this happen to you? I know I am not alone. I also shared in my newsletter that I have found that walking in the early mornings is helping to relieve this somewhat. Besides the normal blueness, I’ve been suffering through some anxiety over some personal things and about this website. Did you know that a website can feel a whole lot like a baby? It can. Anyway, after trekking through my town, up and down hills I usually feel better. Somehow my faith is restored and the weight feels lifted from my shoulders. That is a great relief. Sometimes I think we forget that our Lord gave us some simple things to do to help ourselves and exercise is one of those things. I pray that I will keep remembering this as time marches on. Prayer is another one of those tools. Try sitting quietly in gratitude to the Maker for 5 minutes. Set a timer. Lord, help me, it DOES work. Which reminds me of a couple of bumper stickers I saw…. “Faith it till you Make it” and “Faith More, Worry Less”. 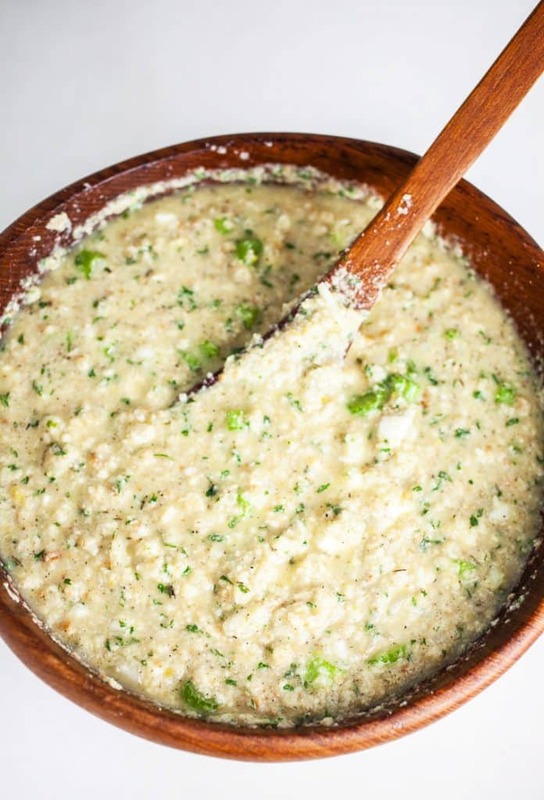 Herby cornbread dressing is the BEST! Thanks! I love getting your newsletter every week! 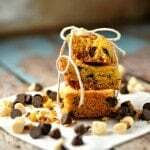 I can’t wait to make the cornbread dressing from this week and seeing the surprise on my family’s face.Thank -You for all the fabulous recipes I’ve gotten from you !